Elite Platoon First Aid Kit | BUDK.com - Knives & Swords At The Lowest Prices! 2 Bandage Gauzes, 4&apos;&apos;x4.1yds. -3 Antiseptic BZK Wipes - 3 Alcohol wipes -3 Iodine wipes ck. I love to parkour (running with obstacles) and I figured that instead of placing my health in a simple phone call if things go bad, I could just get this and save a few minutes. haven't had to use it yet, and I don't plan to, but it's nice to have just in case. fits greatly on my pistol belt. A must have for people who like to parkour and get hurt alot. This first aid kit is both compact, and all inclusive. I bought it for my camping bag and I must say I am very pleased with both the pouch and its contents. I work private security, and this kit is perfect for the job. 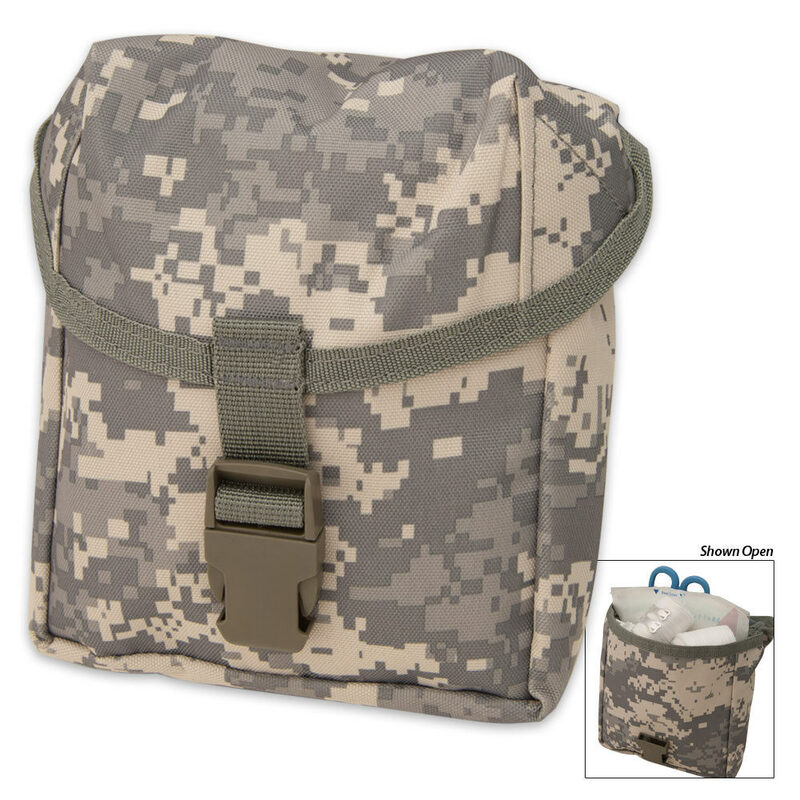 It carries plenty of essentials, with room for a few extras like a tourniquet, eye wash, or anything else. A must have for those wanting to be prepared.